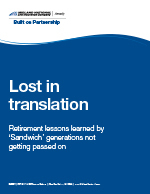 Our research examined the saving, spending and communication habits of Baby Boomers and Generation X, commonly known as the "Sandwich" generations. Read our insight series below and prepare to be shocked! The 'Sandwich" generations, Gen X-ers and Baby Boomers, are not talking to each other about retirement planning. See how today's retirees aren't passing along realistic or practical advice to younger generations. 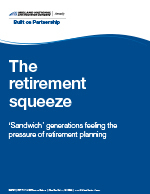 Read about the growing dependence on younger generations to support their parents' retirement. Taking care of both parents and kids makes retirement planning a big challenge. Examine how prepared you are to deal with the squeeze. Learn how the dueling demands of raising kids while helping out parents could be distracting you from retirement planning. Research shows parents have learned lessons but struggle communicating. 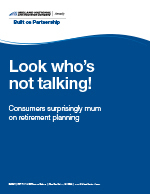 You'll see how parents seem to be learning their lessons when it comes to retirement. Take a look how those lessons aren't translating into actionable advice for the next generation. ©2017 Midland National® Life Insurance Company. All rights reserved.